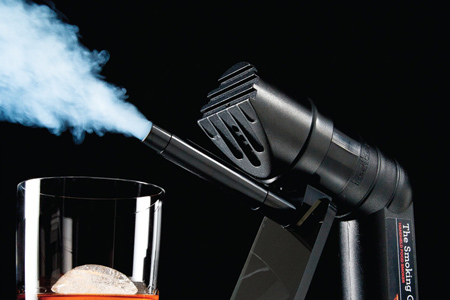 The perfect addition to your kitchen or bar. 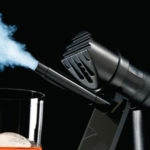 The Polyscience Smoking Gun™ produces cold smoke, which allows it to be used for any kind of food or liquid. 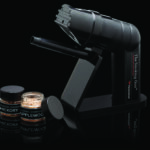 As a flexible hand-held device, it is easy to use for infusion or finishing with a variety of smoky flavors and aromas. Your selection of combustibles including various wood chips, teas, herbs, spices, hay, and even dried flowers is limited only by your imagination. 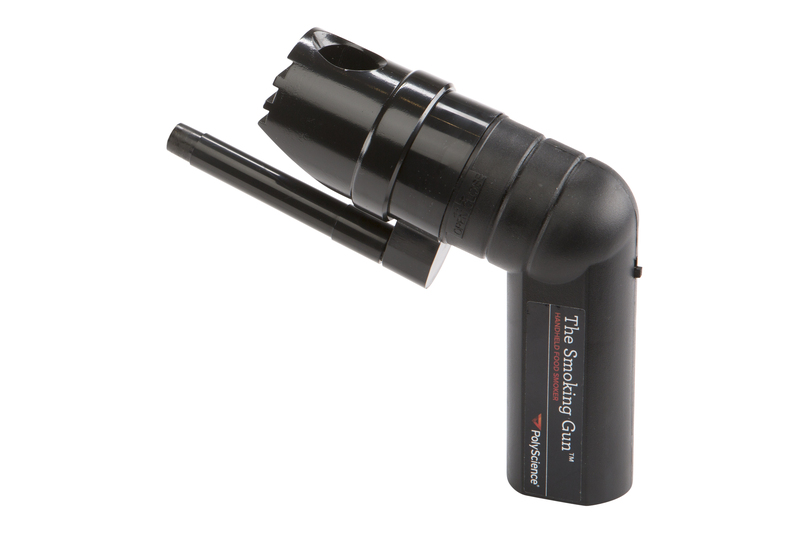 The Smoking Gun features a robust housing, perfect for both domestic and commercial use. 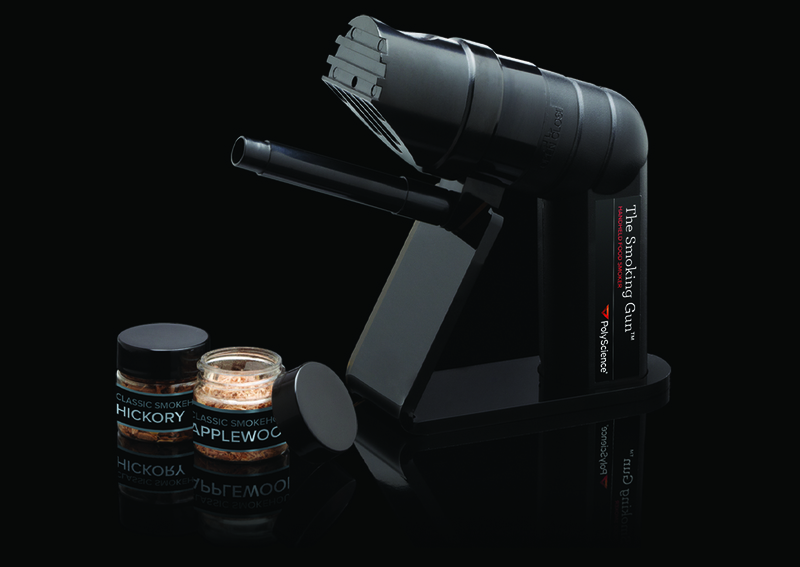 The original and still the best food and cocktail smoking gun. 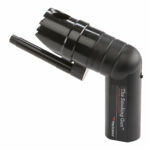 The Polyscience Smoking Gun™ is a handheld food smoker. Finish quickly foods with natural cool smoke that you would usually not be able to smoke: butter, oysters, cocktails, salads, chocolate, meringue, etc. Create classic flavors with Sous Vide Australia wood chips, such as hickory, applewood, mesquite and cherry, or expand your culinary creativity by smoking with flavors like teas, spices, and dried flowers. To provide smoke flavor and aroma for meats, fish fruits, or vegetables after cooking, simply place the food in a covered container and inject smoke. Probably the most practical application is a casserole dish with plastic wrap, stockpot, or zip lock bags. 2-3 minutes under smoke is generally all that is needed to infuse foods with a smoky flavor and aroma. 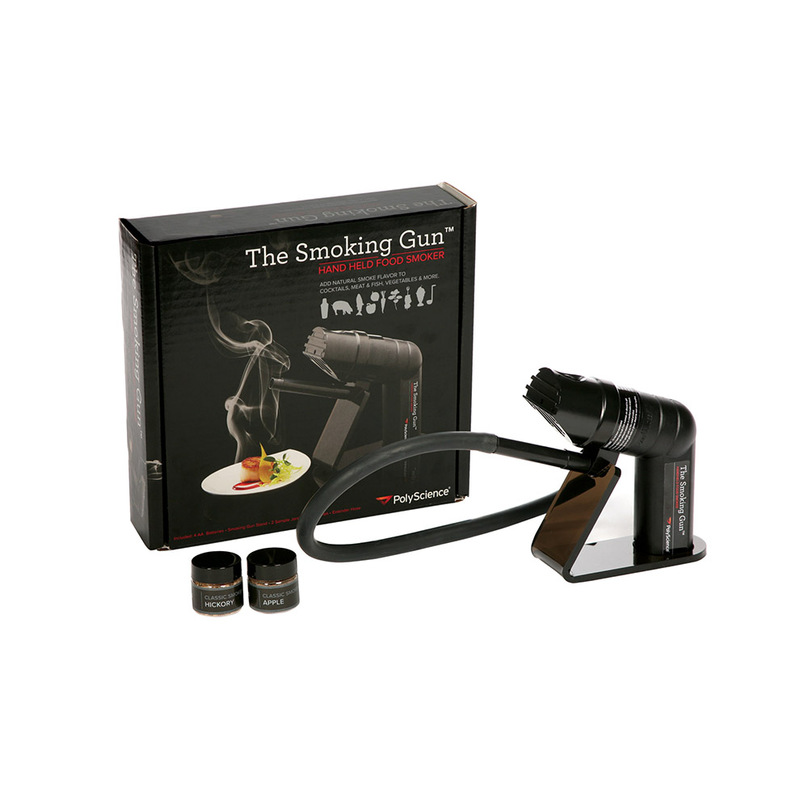 When using the Smoking Gun with a covered receptacle, simply inject the smoke under the lid and let stand for a few minutes. Continuous smoking with the Smoking Gun is NOT required. Mesquite chips are good for smoking most meats (particularly beef) and vegetables. They impart a strong earthy flavor. Apple and cherry woods work well with poultry, game birds and pork. These woods provide a slightly sweet but denser, fruity smoke flavor. Eleven different flavours are available and are sold seperately in 50g and 1kg bags.